OUR HOSTEL NEAR MELUN: A TRADITIONAL RESTAURANT WITH A WARM ATMOSPHERE! Looking for an inn near Melun? Welcome home ! The traditional restaurant La Vieille Auberge welcomes you in a family atmosphere, warm and friendly. You will taste a real home-cooked local cuisine, with dishes made from fresh seasonal produce. At the hostel, the bosses passionate about their job are very attached to satisfy you. Come and discover a real traditional restaurant in Sivry-Courtry, near Melun and not far from Fontainebleau. La Vieille Auberge only works with fresh, quality products to offer you true traditional regional cuisine. The property accepts food vouchers as well as holiday vouchers. THE OLD INN, IT'S ALSO CONCERTS! 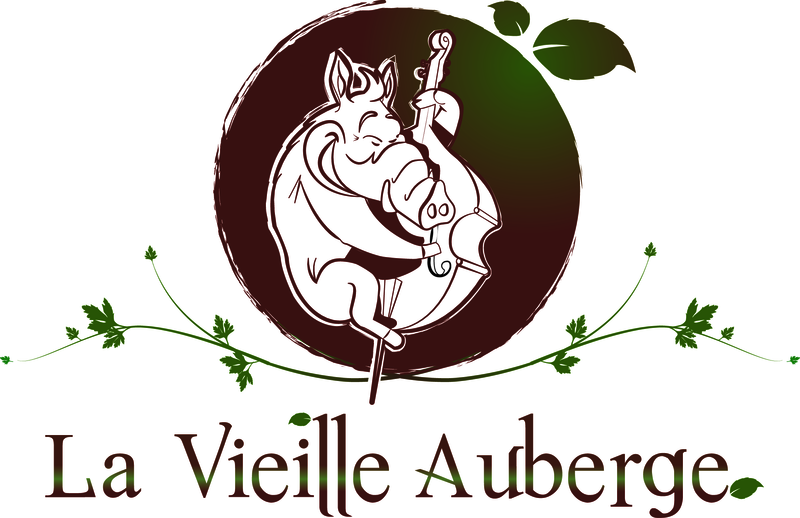 Once or twice a month, the Vieille Auberge welcomes talented musicians, where gypsy jazz is in the spotlight. Being passionate about jazz, linking cooking and music is for the bosses a real pleasure. La Vieille Auberge is an official partner of the Django Reinhardt Festival in Samois-sur-Seine. Find online the programming of our concert dinners. Do you want to meet several to share a great time around a good meal? The hotel will be happy to organize your event! Business meal, birthday, wedding, baptism, bachelor party, club party or association ... your restaurateurs are at your disposal to meet your desires!